I may be shifting mulch for the trees and lugging 100s of kilos of sheep poo pellets but to be able to look up and see the view it feels like I’ve won the lotto. It was enough reason for me to down tools and head in to quench my thirst with some of my refreshing lemon squash. I keep thinking of the day when I can just sit on the veranda and admire the view all day. 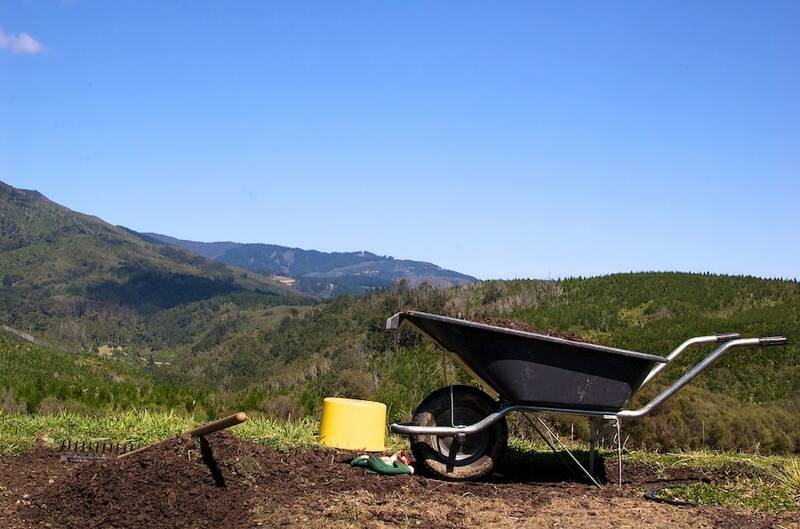 In the meantime there are another 100 trees to be fertilised and mulched. Not to mention the acres of new gorse growing back that needs to be exterminated. But that’s mere detail when you have a won the jackpot of views. I miss my old basset hound (Odie)He slept most of the time but when he felt like runnnig and playing,he was sooo much fun and melted my heart.I would name another (Sweet Pea) which describes the breed more closely.